WASHINGTON — Documents released on Wednesday reveal more details about how the government planned to roll out its Secure Communities immigration-enforcement plan and confirm that the FBI plans to implement additional security programs in the next five years — whether or not states consent to participate. The documents show the FBI was more involved than originally known in the decision to make Secure Communities effectively mandatory. Under the program, fingerprints taken by local law enforcement agencies during bookings are shared between the FBI and the Department of Homeland Security, which uses them for immigration enforcement. 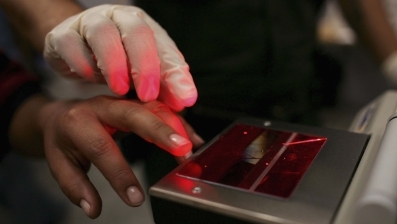 But the program has received push back from some state and local governments that oppose sharing fingerprints with the federal government for immigration enforcement. Illinois, New York and Massachusetts governors announced in May and June that they do not want to participate in the program. Rep. Zoe Lofgren (D-Calif.) called in May for an investigation into whether officials lied to Congress and the public about the mandatory nature of the program, and both California and Illinois have proceeded with legislation against it. An investigation will take place later this year. Meanwhile, though, DHS has confirmed it will continue to take fingerprints from Secure Communities whether states like it or not. In documents released to the National Day Laborer Organization, the Center for Constitutional Rights and Benjamin N. Cardozo School of Law in response to a Freedom of Information Act request, FBI officials discussed how to implement the program in as many jurisdictions as possible. They wrote that they planned to use Secure Communities as a testing ground for other data-sharing programs between local law enforcement and the federal government. Secure Communities is part of the FBI Criminal Justice Information Services Division’s “Next Generation Initiative,” a program that would radically expand the data-sharing between local police and federal agents. The documents make no mention of the possible concerns of law enforcement agencies, some of which have said that Secure Communities makes it harder for them to do their work by harming the relationship between police and immigrant communities. Instead, the FBI documents focus on the agency’s five-year plan to expand data-sharing, arguing Secure Communities can be used as a starting point for these programs. While the FBI acknowledged there could be some resistance from local law enforcement agencies, it said they would eventually be forced to comply with the programs — even though DHS originally presented the program to states and localities as optional. “Ultimately, [law enforcement agency] participation is inevitable because [Secure Communities] is simply the first of a number of biometric interoperability systems being brought online by the … Next Generation Initiative,” according to a briefing guide from the FBI. The FBI’s Criminal Justice Information Services Division did not respond to requests for comment. The undated FBI briefing documents lay out the agencies’ strategy for dealing with “resistant” jurisdictions. First, the FBI and DHS planned to create a “ring of interoperability” around the jurisdiction, making all of the surrounding localities take part in the program. Next, the agencies could deploy data-sharing at local correctional facilities to detect high-level criminals. The third step listed, though, betrays that a true “opt-out” of the program will not be allowed. “Ensure that the jurisdiction understands that non-participation does not equate to non-deployment,” the briefing paper says. “Once interoperability is activated within that jurisdiction, the arrestees fingerprints will in fact be checked … and forwarded to the appropriate” field office. But the documents also indicate that the federal agencies could change the program to respond to certain criticisms, such as a complaint that the program nets low-level offenders who have committed traffic violations or even those whose charges are dropped. The FBI could filter out non-convictions if it made a change to “IT processes,” according to an informal note from December 9, 2010. “The documents make perfectly clear that an opt-out is technically possible and legally permissible, and it seems it was the FBI, for other reasons, that made a decision to make Secure Communities mandatory,” Kessler said. This entry was posted in Press Coverage on July 6, 2011 by Ian.